For over 2500 years, moral philosophers have focused on normative ideas about what people ought to do. Normative ideas are about whatever (if anything) is actually right or wrong, which may be independent of the values or cultural moral standards held by any particular peoples or culture. Since the time of the ancient Greeks, philosophers have had an excellent reason for focusing on normative morality rather than the most obvious source of knowledge about morality, cultural moral standards. That reason is that it has appeared impossible to extract any useful moral truth from cultural moral standards due to their diversity, contradictions, and bizarreness. In sharp contrast, mainstream science does not deal in normative truth at all – leaving that to moral philosophy. Science deals in descriptive truth to reveal how the universe works, which can be a much simpler task. For example, advances in evolutionary theory and game theory in the last 35 years or so have provided new tools for looking for underlying principles in past and present moral standards. What moral philosophy has judged impossible for 2500 years, the science of the last 35 years or so has little problem with – revealing the hidden machinery underlying past and present moral standards such as “Do unto others as you would have them do unto you”, “Do not steal, lie in court, or murder”, “Do not eat pigs or shrimp, or cut your hair”, “Homosexuality is immoral”, and “Homosexuality has nothing to do with morality”. Is this moral principle normative (what we objectively ought to do)? No. It was derived using the methods of mainstream science which only deal with descriptive truth. But it can still be highly culturally useful because it describes effective instrumental moral means (increasing the benefits of altruistic cooperation) for achieving undefined ends which might be normatively moral or immoral. From the intellectual framework of descriptive science, these questions are strange, but easily answered. 1) I can know past and present moral standards are in the domain of morality (in the descriptive, not normative part of that domain) because, by definition, they have been since the emergence of culture. 2) My goal is proving that the principle does underlie past and present cultural moral standards; in no way have I have assumed it does. 3) It would make no sense to first define morality; that would be “assuming what I am trying to prove”. 4) A circular argument uses its own conclusion as one of its stated or unstated premises. Instead of offering proof, it simply asserts the conclusion in another form. The science of morality is about truth by best explanation, by inference, not by deduction from premises; the argument is not, and cannot, be circular. Working from the descriptive intellectual framework of science, the above questions are odd, but easily answered. 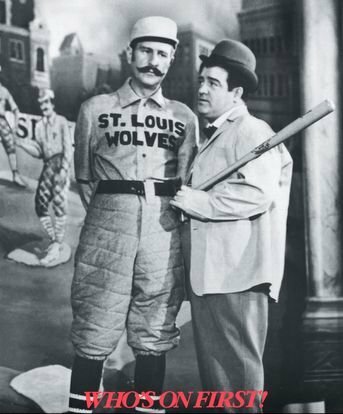 Now the equivalent of the Abbot and Costello comedy routine “Who’s on first” http://www.baseball-almanac.com/humor4.shtml begins when people working from the normative intellectual framework of moral philosophy react to the above responses. Why? Because people working from the normative intellectual framework of moral philosophy are, perhaps unconsciously, converting any descriptive claim with the word moral in it into a normative claim. Regardless of how many times it is pointed out that the claim about morality is purely descriptive, they keep converting it into a normative claim. Why do I think this is true? The above questions and then the counterarguments to my answers are sensible (and these commenters are generally sensible) only if the subject is a normative claim. So what is to be done? People familiar with traditional moral philosophy are not likely to quickly enlarge their intellectual framework’s focus on normative claims to include potentially useful descriptive moral claims, as I think they should. Therefore, as a practical matter, it will be up to people presenting the science of morality to figure out how to get around this too common source of miscommunication. People wishing to communicate the science of morality can now be at least forewarned about this problem (which they will not see coming). But from past experience, I must warn them that simply stating that a moral principle is purely descriptive should not be expected to reliably avoid this source of miscommunication. The treacherous pull of moral philosophy’s normative intellectual framework is too strong. This entry was posted in Uncategorized and tagged ethics, miscommunications, morality, philsophy, science by Mark Sloan. Bookmark the permalink.